The following press release was distributed to international media on 3 April 2019. LONDON, 3 April 2019 – Vladimir Bessonov, a former member of the Russian State Duma and prominent opposition activist, has filed a complaint before the European Court of Human Rights (ECtHR) to denounce a politically motivated judicial process aimed at violating his rights and further suppressing political dissent in Russia, according to the law firm of Amsterdam & Partners LLP. Bessonov has been the subject of a selective criminal investigation by the Russian government which has culminated in his being sentenced at trial, in absentia, to three years imprisonment for allegedly committing acts of violence against two representatives of the state. 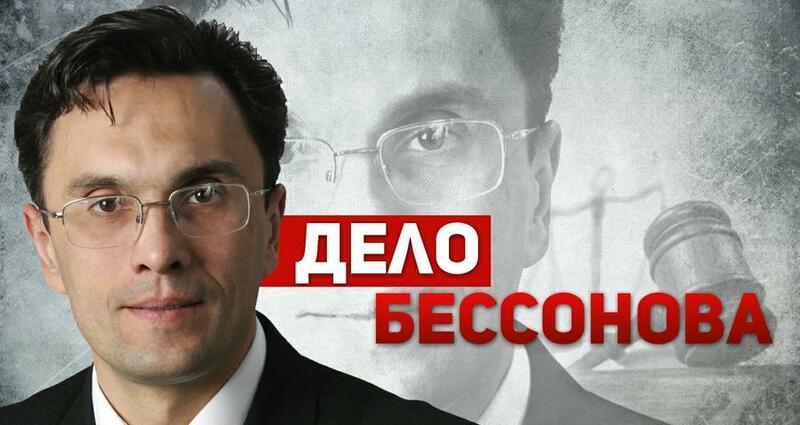 According to Robert Amsterdam, international counsel to Bessonov, Russia’s case against the former parliamentarian is categorically baseless and fits within a broadly acknowledged trend of the Kremlin abusing the justice system to silence political opponents with trumped up charges. This unlawful conduct by the Russian Federation, says Amsterdam, violates the country’s commitments under the European Convention on Human Rights. According to Amsterdam & Partners LLP, Bessonov has been targeted as a result of a public meeting of opposition representatives that took place in 2011. Despite the meeting being conducted in an entirely peaceful manner which caused no obstruction to the public, police officers forcefully interrupted and dispersed the meeting of the opposition representatives in an aggressive and illegal manner. In the wake of this oppressive police conduct, a criminal investigation was launched against Bessonov, pertaining to his alleged use of force against two police officers during the armed interruption of the meeting. This investigation was used as a politically motivated weapon to strip Bessonov of his political immunity. The complaint being filed before ECtHR by Dmitry Agranovsky, a Russian human rights lawyer and co-counsel with Amsterdam, argues that violations occurred with regard to his right to a fair trial (Article 6), his right to freedom of expression (Article 10), his right to freedom of assembly and association (Article 11) and for breach of the limitations imposed by the convention on restrictions of rights (Article 18). Bessonov’s conviction has been condemned both domestically in Russia and internationally, including statements made by members of the European Parliament and the International Meeting of Communist and Workers’ Parties. Bessonov was not notified of the course of his trial, nor was he able to actively take part in proceedings. Hearings were strategically scheduled while Bessonov was fulfilling his duty as a member of the State Duma by participating in meetings. As a result of his absence, Bessonov was first sentenced to house arrest, then to custody. Despite numerous appeals where evidence of Bessonov’s participation in State Duma meetings was presented, this decision was upheld. At trial, the only evidence presented against Bessonov was given by the two officers who allege to have been assaulted him. To the contrary, over fifty witnesses testified at trial that Bessonov did not assault police officers in any way. These testimonies were unduly dismissed by the court as being too similar to each other, with the prosecution alleging that they were made at the request of Bessonov’s defence counsel for the benefit of his trial. Defence counsel also provided the court with a report made by a video expert, who analysed the video footage of the confrontation and confirmed that Bessonov did not assault the officers, or anyone else during the conflict. Moreover, a medical expert testified that the two officers did not, and could not, have suffered head traumas on the day of the meeting. Despite this, Bessonov was convicted and sentenced by the court for committing acts of violence against two representatives of power. Amsterdam says that Bessonov’s counsel will explore every available avenue to defend his rights against this illegal attack by the Russian government. More information about the case is available at robertamsterdam.com.